Since he joined Ford Motor Company in 1994, he has contributed to a number of technologies that lead to production vehicle implementation, including vehicle state estimation for Ford’s Roll Stability Control system (RSC) which is implemented on both Ford and Volvo vehicles; the design/development of fault detection on Ford’s engine only traction control and AdvanceTrac systems. His research work includes a low pressure tire warning system using wheel speed sensors; traction control; electronic stability control, and interactive vehicle dynamics control; real-time interactive powertrain control emulation through a motion based vehicle simulator; engine and transmission coordination control to improve shift feel; real-time model predictive control for vehicle applications in automated evasive maneuvers. His technical achievement at Ford has been recognized with Henry Ford Technical Fellow Award in 2004, 2010, and 2011. His current interest includes both powertrain and vehicle dynamics control. He is currently a Technical Leader in Controls Engineering at Research and Innovation Center, Ford Motor Company. Eric has numerous patents and is the author/coauthor of over 70 publications including chapters in two handbooks (The Control Handbook, 2nd edition, and Road and Off-road Vehicle System Dynamics Handbook). 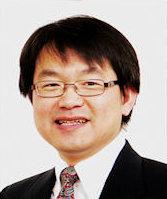 He was the recipient of the Best Paper Award from 2012 International Conference on Bond Graph Modeling, and the Best Paper Award from International Symposium of Advanced Vehicle Control (AVEC) in 2006 and 2010. He has been a member of the AVEC International Science Committee since 2010 and a member of International Federation of Automotive Control (IFAC) Technical Committee since 2007.